The nutritional benefits of eating fish are well known – but it’s the health-boosting power of catching them that are arguably less well known. Angling is one of the UK’s most popular pastimes and it’s one of the healthiest too. In fact, many people take up fishing to reduce stress and tension, as well as improve physical fitness. That may come as a surprise. It’s easy for the uninitiated to think of fishing as a frustrating way to spend your free time. Far from it. While it takes some concentration, it’s actually incredibly calming – and rewarding. Angling gets you out in the fresh air to some of our country’s most idyllic scenes, gives you some valuable time with friends and family (or even just yourself), and it introduces you to new people. Combined with the sense of achievement when you catch a fish, you’d be hard pressed to find a better activity to boost your overall well-being. Scottish novelist John Buchan said it best, “The charm of fishing is that it is the pursuit of what is elusive but attainable, a perpetual series of occasions for hope.” That can’t be underestimated and is no doubt why angling is being recommended by the NHS as a form of therapy. 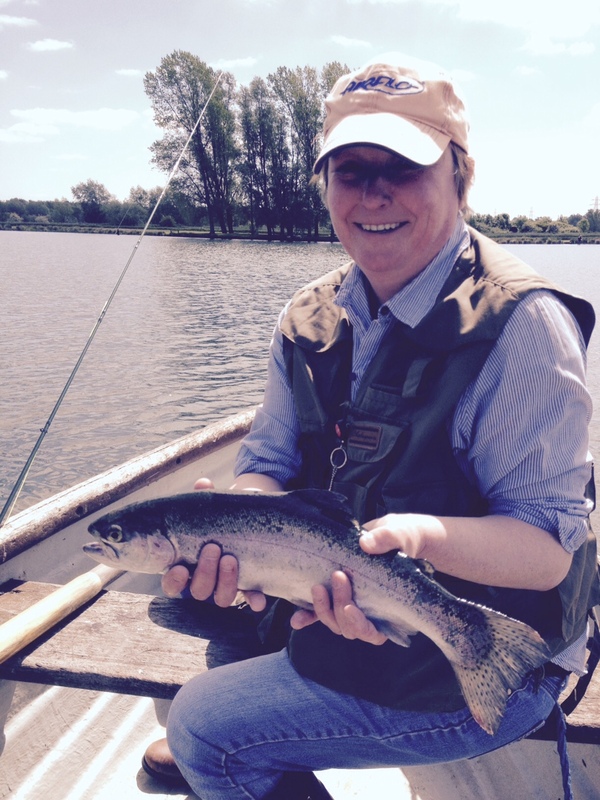 Just last month, a Derbyshire Healthcare scheme called Angling 4 Health got the backing of the Angling Trust and the chairman of the All Party Mental Health Group, Charles Walker MP. The initiative, which uses angling to help those recovering from mental health conditions like anxiety and depression, is now set to be rolled out across the country. But it’s not just our mental well-being that benefits from the activity. A wave of research has praised angling for its impact on physical health too – from introducing some light exercise to helping people recover from a stroke. It’s all related to something called ‘green exercise’ (www.greenexercise.org). In essence, this is proving something that, in our hearts, we already know – that ‘escaping’ to natural, green spaces is a boon for our health, mood, outlook, activity levels, and even physical recovery from illness. Of course, you need a rod licence to fish but these start from just £3.75 for one day and £27 for a whole year. Compare that with the price of a year’s worth of prescriptions or gym membership and you’ll quickly spot the bargain. Plus, that money goes directly back into improving rivers and habitats, making angling (not to mention the environment we all enjoy) even better for the future. There are plenty of opportunities to go fishing, right across the country. 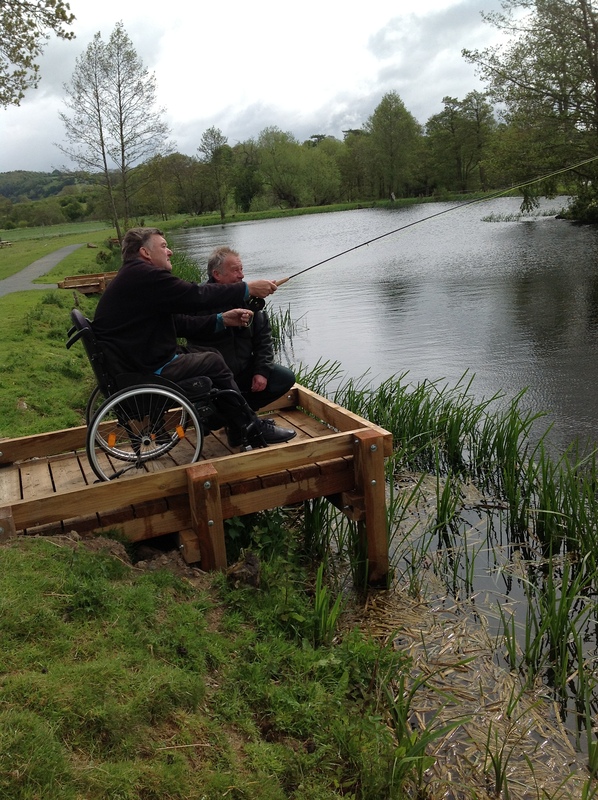 Some fisheries also run accessible facilities so that everyone can take up fishing, regardless of their age or mobility. As well as finding your own beautiful spot, you can join clubs or go to organised family fishing days. The best place to start looking at the options is the Angling Trust’s website. I hope I have inspired you to take up angling, if not for the pleasure of the catch and the environment, then for the benefit to your health and well-being. See you on the river!